Walt Mossberg has been reporting on technology since the 1990s. He plans to retire in June. In the early 1990s, he covered the Pentagon for The Wall Street Journal. After taking an interest in the complicated computers of the time, Mossberg realized that soon these devices would become commonplace, and that many people had no idea what this new technology might bring. "I thought, well there's a journalistic opportunity here," Mossberg says, "for somebody to do two things: to represent the voice of the average person who wasn't interested in the inside of the computer but was smart and shouldn't be talked down to, and to criticize the computer industry for ignoring that person." Now, Mossberg plans to retire in June and he spoke with NPR's Robert Siegel about his career in tech and how things have changed since he first logged online. There were a lot of computer columns. They were almost all written by geeks for geeks. I went to the managing editor of The Wall Street Journal ... and I said I had this idea of a column, but I want to turn the formula on its head, I want to champion the nontechies. The first line of my first column was "personal computers are too hard to use and it's not your fault." And that was primarily Microsoft. I generally favored the Mac because Steve Jobs had the same idea that I did, not to compare myself to him, but I mean the idea was let's make this accessible and easy for the average person. But, of course, he also was the BMW guy of the industry who was charging a fortune for these computers so he had a very tiny market share, and it was Bill Gates and Microsoft that did the actually awesome thing of getting it out there to a broad number of people. The problem was ... it was like a kit. Things went wrong with it all the time. There were a lot of viruses and all kind of stuff. I had a lot of healthy arguing with Bill Gates over the years. Everyone in tech was always constantly being surprised and still is today. Things that were developed and invented for one purpose often had many other purposes. ... The idea that the big bulky PCs that we had would be really thin little laptops would be ... I mean, what is the personal computer today? It's your phone and nobody had that notion in the late '70s, early '80s when this started. To paraphrase General Douglas MacArthur, old tech reporters don't die. And they don't even fade away that often because frankly, there just aren't that many old tech reporters. But there is one we know of who is retiring. Walt Mossberg plans to retire in June. Walt Mossberg and I go back to when neither of us knew which end of a USB cable to plug in. I still don't. Welcome to the program. And you're not that old 'cause you're the same age as I am. WALT MOSSBERG: No, we're both young, Robert, that's the thing. SIEGEL: I want you to explain what you did back in 1991 when you started to focus on tech not for Popular Science or Popular Mechanics but for The Wall Street Journal, where you'd been a reporter since coming out of journalism school in 1970. MOSSBERG: What I did was I took what had been my passion and my hobby privately, which was early computers, and it occurred to me - two things occurred to me. One was it was very hard to learn how to get the most out of these early computers. And secondly, it was about to explode. I mean, it wasn't brand new, but it still hadn't really penetrated most of the population. I thought, well, there's a journalistic opportunity here for somebody to do two things - to represent the voice of the average person who wasn't interested in the inside of the computer but was smart and shouldn't be talked down to, and to criticize the computer industry for ignoring that person. MOSSBERG: So I thought OK, there were a lot of computer columns. They were almost all written by geeks for geeks. I went to the managing editor of The Wall Street Journal, who was the top editor. And I said, I have this idea for a column, but I want to turn the formula on its head. I want to champion the non-techies. So they let me do it, and that's what I did in 1991. And here in Washington, for a long time, people thought I had been demoted. SIEGEL: (Laughter) Yeah. Well, he used to cover the Pentagon. What's he doing covering little computers? MOSSBERG: Well, here's the thing - I was covering James Baker, secretary of state, secretary of treasury, White House chief of staff. And as a courtesy, I went to see him. And I said, I'm not going to be covering you anymore. He said, well, what are you going to be doing, covering the White House, covering the Supreme Court, whatever? I said, no, I'm going to not cover any of this stuff and write columns about computers and technology. And he said, what the F do you want to do that for? MOSSBERG: And then I later found out that as soon as I left his office, he had his people start calling around to find out why I was demoted. NOAH ADAMS, BYLINE: Now, as the net becomes more popular, it's seen as just one more place to make a buck. There are now home pages on the World Wide Web that exist solely to sell products and services. SIEGEL: Home pages. And you instructed Noah on the basics of using the World Wide Web - something that was necessary in 1995 to find examples of commerce on the Web - which you and Noah then tried to do. MOSSBERG: The first thing we find out, Noah, when we try to do this is that the Internet and the World Wide Web are completely disorganized. SIEGEL: And then you tried to show no the site of the San Jose Mercury News, and you introduced us all to a tool to do that. MOSSBERG: The only way you can do that that I know, or the best way you can do it, is to go to a place called Yahoo. Yahoo is a directory service for searching through the World Wide Web. MOSSBERG: Well, that's what it was, actually. It wasn't a search engine as we understand Google, for instance. SIEGEL: I remember you remarking in those days that the way that PCs and Microsoft software were being sold to people was like selling ready-to-assemble television sets with tubes that may or may not work. Some of them may malfunction. You were not a big fan of the company that Bill Gates was developing. MOSSBERG: I wasn't. I - you know, the first line of my first column was personal computers are too hard to use, and it's not your fault. And that was primarily Microsoft. I generally favored the Mac because Steve Jobs had the same idea that I did. Not to compare myself to him, but I mean the idea was let's make this accessible and easy for the average person. But, of course, he also was the BMW guy of the industry, was charging a fortune for these computers, so he had a very tiny market share. And it was Bill Gates and Microsoft that did the actually awesome thing of getting it out there to a broad number of people. The problem was it was exactly as you say, it was like a kit. And things went wrong with it all the time. And there was a lot of - there were a lot of viruses and all kind of stuff. And I had a lot of healthy arguing with Bill Gates over the years. SIEGEL: Years ago, Eric Schmidt, as he became CEO of Google, wrote about reading your story on Google and then going to talk with you about the company that he was taking charge of. He said Mossberg has a good nose. I mean, he meant that figuratively. SIEGEL: You have a good nose. Schmidt thought you had a certain instinct for what made sense in these companies. MOSSBERG: Well, that's - was very kind of Eric. The key to that, Robert, was that I was a tech hobbyist. I knew a lot more than the average person. But every morning I got up, and - I had to reset my brain to say let's pretend I don't know all this stuff, how would this look to me? SIEGEL: Walt, I want you to try to imagine we're back at the point where the Web has come online. We know that Apple and Microsoft are gigantic players already. SIEGEL: From that point on, if you try to imagine what you thought would become of all this - what the tech world would develop into - are you surprised, or was the path from, say, that moment to here pretty clear to you? MOSSBERG: Yes. Everyone in tech was always constantly being surprised and still is today. Things that were developed and invented for one purpose often had many other purposes. And this goes - by the way, the idea that the big, bulky PCs that we had would be really thin little laptops would be, I mean, what is the personal computer today? It's your phone. And nobody had that notion in the late '70s, early '80s when this started. MOSSBERG: It's just time. I've reinvented myself five or six times in my career. I've continued to reinvent myself. And I know this sounds corny and people will listen to this and say, oh, he's covering something up. I'm not. I just think it's time to reinvent myself again. 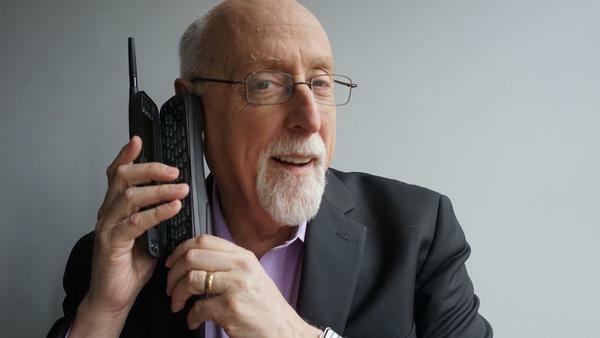 SIEGEL: Do you have any ideas about Walt Mossberg 7.0? MOSSBERG: I do, but I'm not going to talk about him. SIEGEL: Walt Mossberg, retiring tech journalist, longtime columnist for The Wall Street Journal and much else and a longtime friend. Thanks for talking with us and congratulations on your retirement. (SOUNDBITE OF SUFF DADDY'S "DR. BANARD") Transcript provided by NPR, Copyright NPR.